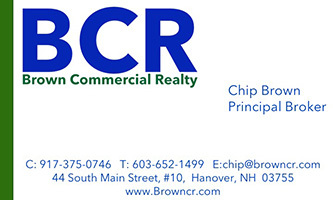 BCR is a Hanover NH based commercial real estate brokerage and advisory firm led by Chip Brown. We apply deep local knowledge and 30 years of institutional expertise to secure successful results. Mr. Brown brings to his clients 30 years of commercial real estate experience with expertise in investment sales, leasing,capital markets, and asset management and repositioning. Over his career, Mr. Brown has sourced, negotiated, and closed commercial real estate transactions totaling over $1 billion dollars in value. These include individual transactions of all major property types, with deal sizes ranging from under $400,000 to over $400 million. 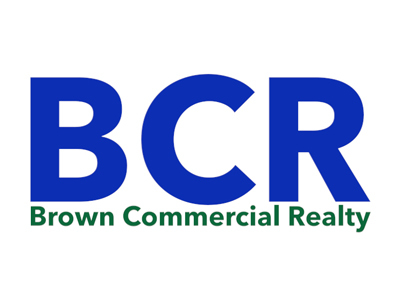 Prior to establishing BCR, Mr. Brown worked with Norton Asset Management, in partnership with Harrington & Reeves, brokering lease and sale transactions in the Upper Valley from 2012 to 2017. During this time, Mr. Brown also provided advisory services through CTRiver Advisors. 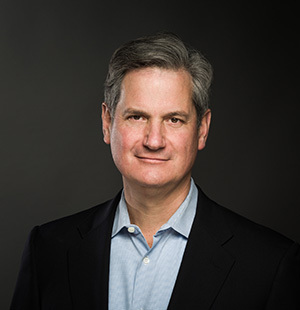 Prior to moving to the Upper Valley, Mr. Brown held the position of Head of U.S Production, Senior Vice President, and Credit Committee Member at CW Capital, then owned by AAA rated, $230 billion pension fund advisor CDP/”The Caisse”. In this role, Mr. Brown held responsibility for the production, credit quality and profitability of the CW/CDP’s U.S debt platform’s commercial real estate investments. This followed progressive commercial real estate roles in relationship management/deal making, credit, and advisory work for real estate platforms at GMACCM/CII, Lehman Brothers, and The Georgetown Company. Mr. Brown holds a Master of Science in Real Estate Development of Columbia University, graduating with honors for thesis work on repositioning office buildings. Mr. Brown holds a BA, Architecture from Hampshire college where he was Student Trustee for Buildings and Grounds. Mr. Brown is currently a member of Lebanon’s Economic Vitality Exchange (EVEC) Committee, Lebanon Chamber of Commerce, Hanover Rotary, the Howe Library Corporation, New Hampshire Commercial Investment Board of Realtors (NHCIBOR), Building Owners and Managers Association (BOMA) and past 7 year member of the Hanover Affordable Housing Commission.